You have the power to do one very important thing for the future of Central Maryland right now: Make a gift to support Habitat for Humanity of the Chesapeake. When you make a gift right now, you’ll give hope to families and help them fulfill their dreams of owning their own home. You’ll create a better environment for the children of these families and play a direct role in improving Central Maryland’s future. Today through May 31, your gift will be DOUBLED by Aerotek – dollar-for-dollar, up to $25,000 – and go twice as far to support our important mission. 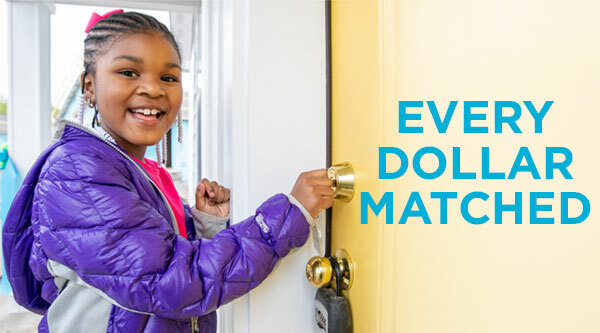 Do even more to help improve our local communities, become a Habitat Chesapeake monthly donor.